Well this certainly doesn't happen very often! 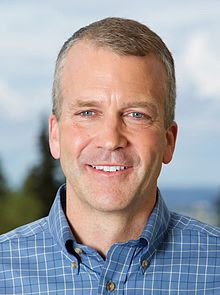 Come meet your Congressional US Senator Dan Sullivan who will be at the Craig Ballpark Saturday, July 29th from Noon-2pm for a Friendly Community Meeting. Free hot dogs until gone. Do you have any questions that you would like to ask him? Regardless of party lines 70% of Americans believe in term-limits. What is your opinion on term-limits and would you introduce legislation to limit career politicians in Congress?